Hatchie is the world of Harriette Pilbeam. Step inside her mind; a dreamy landscape where cascading synths, jangling guitars, propulsive rhythms and white noise undulate beneath irresistible pop melodies. Rather than focusing on the external world of her life in Brisbane, Pilbeam turns her gaze inwards, making a soundtrack out of her daydreams, setting her emotional life to song. Amber Arcades brand new single ‘Where Do You Go’ is out today, accompanied by the final part of the ‘European Heartbreak’ Trilogy. A beautiful film written & directed by Eliott Arndt. “This song is about the irrational nature of love. You need to keep telling yourself you believe in it in order for it to exist at all. On the other hand, maybe it’s a cool thing because of that. If it were more “real” it would just be another “thing” you can choose, like a brand of peanut butter. And I’m not so sure about whether always being able to choose all the things makes us better or happier in the end. ‘With Animals’ will be released on August 24th and Mark Lanegan & Duke Garwood have unveiled deep and brooding title track. “It was a heatwave in LA. 109 in the shade. The riff was early morning, slow cooked in the heat haze, until the awesome moment when Mark laid down the vocals. A delish dish.” The equally dark video for the track was directed by Steve Gullick. ‘With Animals‘ is released via Heavenly Recordings on Friday 24th August. Amber Arcades have announced a new album ‘European Heartbreak’ and are heading out on a pre album release tour this June. Simple Song, the second part of a three video trilogy, “which tells a modern European (love) story, touching on various thoughts and feelings that inspired my new record.” Musically, Simple Song shows the gentle progress of Amber Arcades’ sound; the driving rhythms and easy guitars remain, yet it’s a crisper sound, each idea more distinct and bolder than ever before, there’s even room for some delightful horn interludes courtesy of the Spacebomb house-band. As with all her best track the joy here is in the contrast, the breezy sound juxtaposing the sadness in the vocal, the confident musical decisions contradicting the doubt written large in the lyrics. Delighted to announce Amber Arcades new album, European Heartbreak, will be released on the 28th September 2018. With her debut UK live shows just days away, Brisbane newcomer Hatchie has shared a fourth track and accompanying video from her debut EP, ‘Sugar & Spice’, which comes out on May 25th via Heavenly Recordings. Speaking of the EP, Pilbeam says: “After writing music that never felt cohesive or special enough to warrant its own venture, ‘Try’ marked a shift in my writing style I wasn’t expecting. I wrote it in early 2015, followed quickly by ‘Sleep’ and ‘Sugar & Spice’. They were written more for myself than for a specific project, in an effort to explore feelings of vulnerability and ecstasy I had previously suppressed. I wanted these songs to sound lush, sparkly, and recreate euphoric feelings I experienced falling in love for the first time. I reworked my demos with Joe Agius, whose production and writing additions achieved the perfect sound I was searching for, giving me confidence to start taking the songs more seriously and continue writing. The release comes hot off the back of a remarkable nine months for Hatchie. After signing to Ivy League Records for Australia/New Zealand, Heavenly Recordings for UK/Europe and Double Double Whammy/Polyvinyl for North America, and recent performances at SXSW, the international demand will see Hatchie embark on a huge run of shows. The UK leg in May will take in festivals such as Live at Leeds, Liverpool Sound City and The Great Escape as well as a string of London shows. “It is all about the beginning and the end: Baptism being the second birth (START), Du Pouvoir dealing with self-confidence and how to find your place in the world (CONSTRUCTION), and À La Fin (literally “At The END”), about what we keep and lose after love has gone. Dans La Nuit is actually the very first song I wrote in French, and has all been written during the night, and dans la nuit, we float, we escape until the next day is coming. The fact that I finally refused to choose between French and English ended up making sense when I signed to Heavenly Recordings, a double sign from heaven!”. This month Halo Maud will headline The Waiting Room, London & she is supporting Baxter Dury on his UK & French tour date She is also playing the matinee show for our Heavenly weekend in Hebden Bridge on Saturday 24th February. Hatchie is one Harriette Pilbeam, a native of Brisbane who has already attracted plaudits at home prior to unsurprisingly picking up wider acclaim from the likes of NPR and Beats 1. That instinct is abundant on Sure, lush synths envelope alluring vocals that wouldn’t appear out of place in The Sundays and Allvvays songbooks – a gorgeous swathe of pop beauty, an enthralling introduction into the world of Hatchie. The track will be included on a forthcoming EP through Heavenly Recordings that will accompany her debut UK live dates. Also check out the First single from Brisbane dreampop artist Hatchie. The addictive and swaggering Beehive is the latest powerful track to be shared from the Mark Lanegan Band’s upcoming new record Gargoyle ( released 28th April on Heavenly Recordings). By his own admission, as a young man Mark Lanegan used to drive himself crazy when it came to writing songs. Then again, the younger Lanegan lived a crazy life. He grew up in the small Washington State farm town of Ellensburg, in and out of jail for various offenses– aged 20 a doctor told him he would be dead by 30 unless he addressed his alcohol intake. Lanegan would joke that his subsequent hard drugs addiction saved his life. He saw more violence in the Screaming Trees than in any correctional institution: the band he joined in 1984 whirled around a vortex of sibling strife as its songwriting brothers punched their way through a succession of progressively more engaging albums, until 1992’s Sweet Oblivion brought the Trees a modicum of commercial success to match the respect they had earned among Seattle scene peers like Nirvana. His latest offering, titled Gargoyle. While sharing roots with its two predecessors, there’s a significant up-shift in the swaggering powerlode of such keynote songs as Nocturne and Beehive, while the lyrics’ tonal palette is more varied. Beehive, for instance, is a thrilling replicant biker anthem, riffed up and reverberant to the hilt, but you can sense Lanegan’s eyebrow arched throughout as he intones “Honey just gets me stoned”, or the priceless couplet, “Hanging down from above/Everywhere I look it’s a bummer.” The album title comes from a lyric in Blue Blue Sea – “Gargoyle perched on gothic spire” – and was chosen for its hint of self-deprecation. Emperor is more startling still: a psychedelic music hall ditty, featuring Josh Homme on backing vocals and heavily redolent of the Kinks. Old Swan is Gargoyle’s perfect finale: a pulsing incantation, an epic hymn to the life that’s lived – and She who provides it. The lyric feels like Lanegan’s most personal – even spiritual. There’s a chuckle from the author of these words as he hears them read out loud. It’s been a long journey travelled, not always easy, but in 2017, at the age of 52, he’s got the look of permanence about him. Like that gargoyle on the gothic spire. “Clean, through the eternal…” Mark Lanegan? With his reputation? Mark Lanegan takes the S-bahn to meet Alain Johannes, Jack Irons and Josh Homme in Iggy-ville. Channeling the former Stooge over a razor bounce, Lanegan bellows his disgust for the man at the top. If there ever was a voice that could topple giant empires, it’s this one. 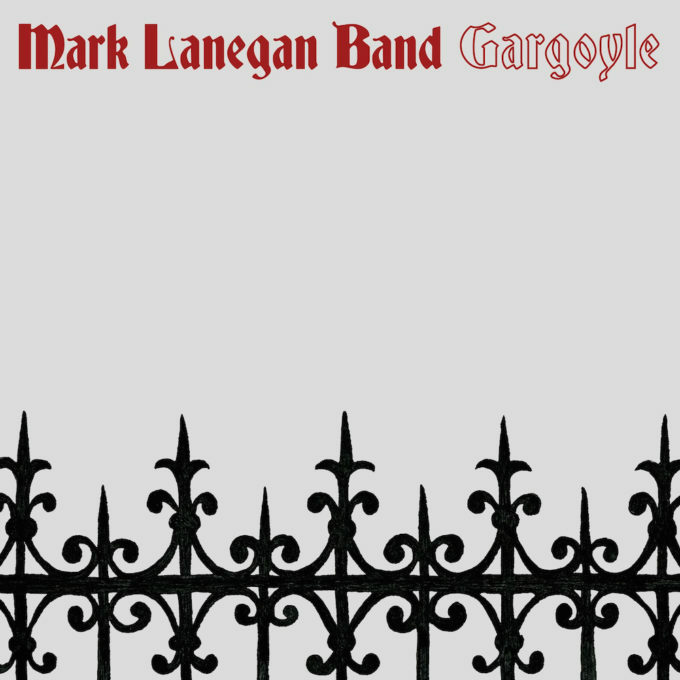 Mark Lanegan is an American alternative musician and singer-songwriter. Born and raised in Ellensburg, Washington, Lanegan began his musical career in 1984, forming the grunge band Screaming Trees. He now has a career as a solo artist. 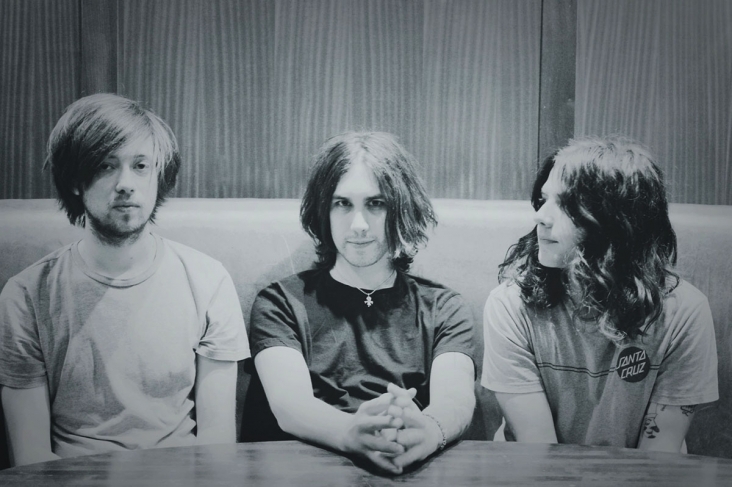 Having been rattling the DIY scene with their distinctive distortion, The Wytches If you are just currently getting familiar with Fat White Family, The Growlers and Blood Red Shoes the band have been busy casting their spell far across the county touring frequently after the release of their debut LP “Annabel Dream Reader”, which was released via Heavenly Recordings. The Brighton via Peterborough trio have made their trademark heavy guitars and raw recordings that go some way to capture the DIY power of their live shows. The live to tape production favoured by the band can’t help but transport you to those dark, thrashing toilet venues where only this kind of music can be conceived. Lauded as being one of the highlights of last years Reading and Leeds Festival, with a superb frontman in Kristian Bell their album was recorded entirely on tape in just two days. Two versions but one tune. ’Double World’ and ’Double World (Sludge Version)’ were released digitally through Heavenly Recordings on October 31st. The release coincided with their Sold Out Halloween party at Hackney’s MOTH Club which has kickstarted their UK Tour. Both tracks were recorded in Kristian’s Garage, and ‘Double World’ comes with a suitably Lo-Fi and eery video directed by Wytches own Mark Breed.